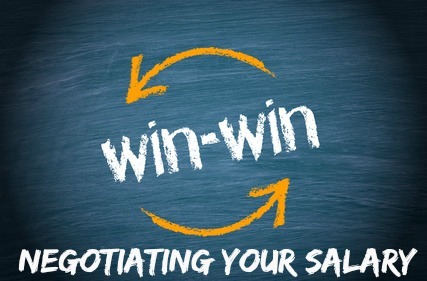 Successful salary negotiating means developing a practical negotiation strategy before you start your negotiations. Key to a winning negotiation strategy is determining a realistic salary range to negotiate within. Use the salary requirements calculator below to work out how much you need to earn to support you current lifestyle and meet your expenses. For each expense work out the amount of money you need and the amount of money you want. Once you have your totals multiply them by 2 to include social security, state and federal income taxes and any unanticipated expenses. You can be more accurate by working out what your actual tax will be in that salary range. Not all of your expenses are monthly. Property taxes, insurance premiums, and holidays come once or twice a year but don't forget to include these occasional costs. This calculation will determine what your minimum salary range must be to support your lifestyle. While it is essential that you know what this amount is before you start negotiating salary it is not advisable to bring up your personal monetary needs during the negotiation. This figure is a foundation for your own salary decisions. You have now worked out your required salary range. Next in preparing for negotiations is to evaluate the job offer compensation package as a whole. Decide what aspects of the compensation package you can negotiate. This calculation can be used with the other salary information you have collected including your market value and company value to set rational expectations before you start your negotiation process. How to write a winning job offer negotiation letter to your employer to get the offer you want.